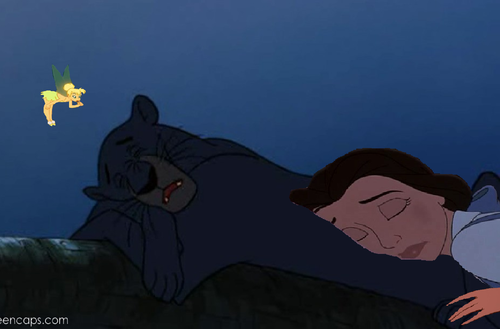 Zzzz. 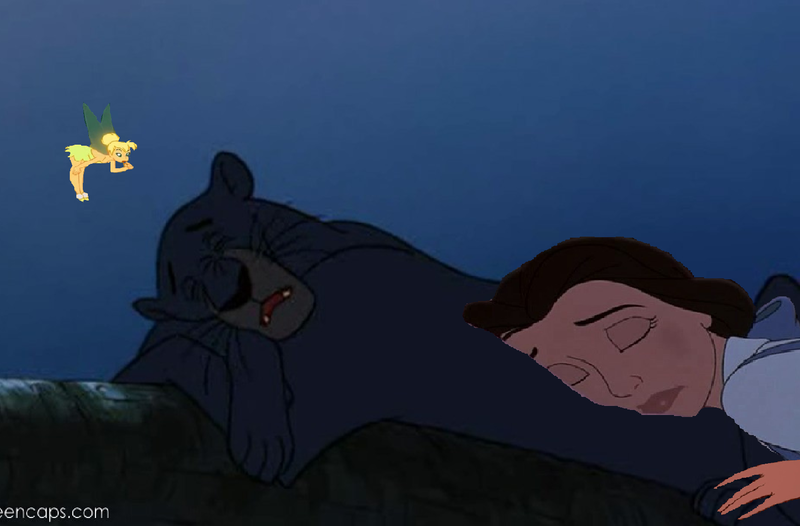 La Fée Clochette comes across Belle and Bagheera sleeping in a arbre. HD Wallpaper and background images in the croisements Disney club tagged: disney.